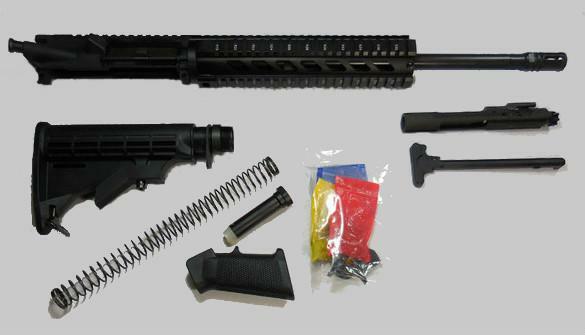 This 9mm Rifle kit comes with a 16″ Contour Barrel in Stainless Steel with 1×10 twist. 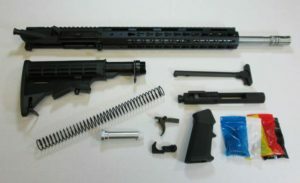 Included Barrel is made from 416R Stainless Steel with 1/2 x 36 thread pattern for flash hider. 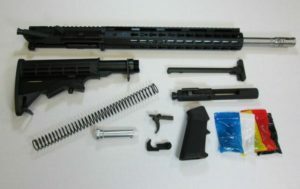 Also included in the 16″ Rifle Kit with stainless Steel Barrel is a Magazine Insert to Accept Colt SMG Pattern 9MM Magazines. Also the 9mm Insert block has hold open on last round feature due to the design of the drop in Block when used with colt magazines. 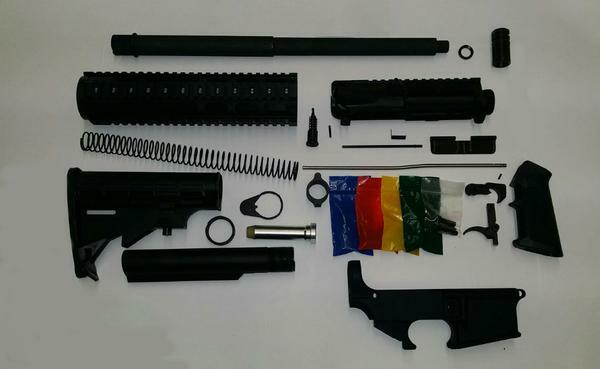 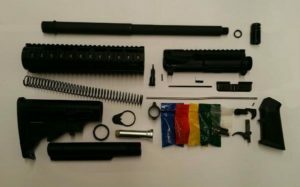 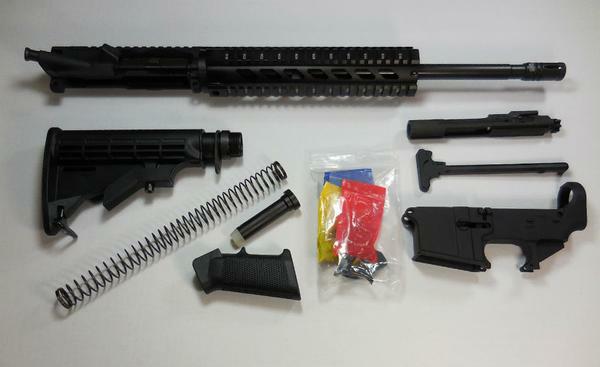 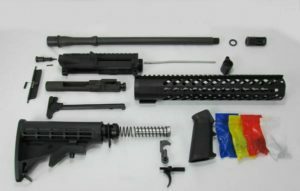 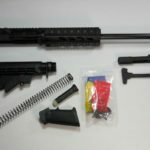 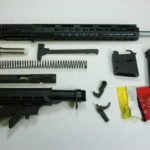 Even More the rifle kit contains all USA Made components to complete YOUR 9 MM Rifle using your stripped AR lower receiver except Magazine, Jig/tooling, Sights, and AR-15 Lower. 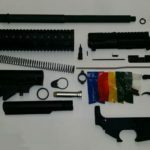 Even More, the Upper is Assembled, has been Test Fired and ready to drop right on your lower and head for the range after getting the other parts assembled and installed on your AR9 Rifle Kit. This 16″ 9mm Rifle Kit with Stainless Steel Barrel is not an FFL Item and ships right to your door. 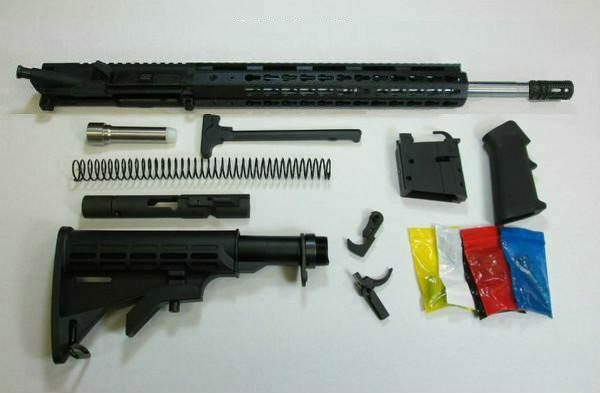 You can read the information on building your own firearm at home at the ATF Website Here.